Our expertise is in financing specialised assets. What does this mean? When you need specialised asset finance – that your bank or traditional funders don’t understand or avoid – we will back you. We finance machinery, specialised equipment, technology, software, office fit-out, etc. If you’re not sure if we will finance it just ask – chances are we could. Avoid using your working capital or overdraft. Rather use Spartan’s asset finance facility [credit line] which acts as a wallet of credit. This credit line has a 3 year availability period. It can be used for ‘bits & bobs’ or larger items. Working capital or overdraft is a scarce resource that should either serve as a buffer for tough times OR give you confidence for the future. Finance all your machinery & equipment that your business needs whether you’re in manufacturing, warehousing, agro-processing, mining support, construction, engineering, etc. 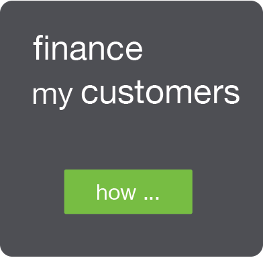 … see more about our machinery finance. For leading-edge ‘weird & wonderful’ equipment or devices that don’t fit the conventional mould or is so new-age that it can’t be categorised yet. So if it can’t be categorised how can it it be financed? 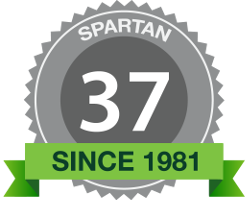 Spartan can and does – because we have expertise in financing specialised assets. Find out more here. If it has a chip, wires or an IP address we’ll probably finance it. For just about any technology your business requires whether its traditional IT or something way beyond that and non-traditional … read more about our technology finance. It covers off-the-shelf software or custom development software. For example CRM, ERP, industry-specific-software, web/general/mobile development. Spartan can also finance the various elements of your software project whether it be upfront/annual licensing, implementation, training, software subscription [Software-as-a-Service]. Read more here. Spartan’s Fit-Out Finance covers your office furniture & fit-out. Whether you are looking to refurbish and redesign your workplace, or are looking to move into a new office space, we can finance the entire project. See more.